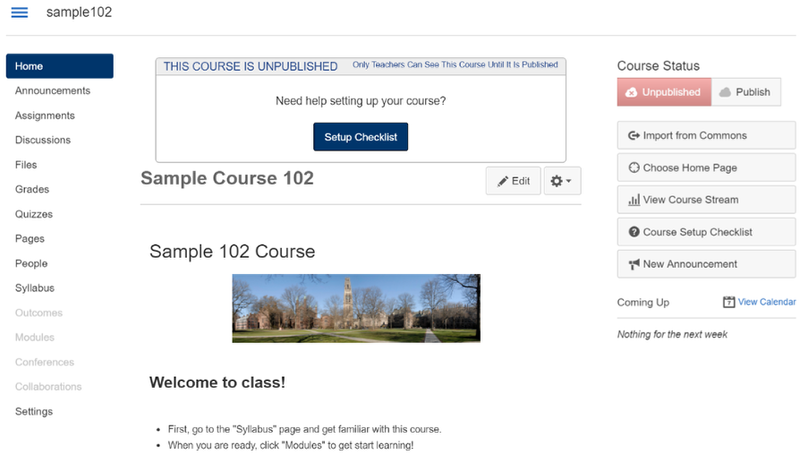 Canvas @ YaleInstructor Guides SettingsHow do I publish or unpublish my Canvas course? A course will not be visible to students until it is published. Once you have graded an assessment, you cannot unpublish your course. 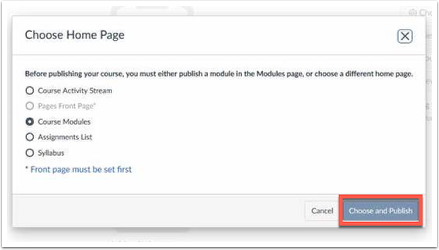 Please watch the video below regarding how to publish your Canvas course. Open you course and view the Course Home Page. In the sidebar, click the Publish button. Optional: choose a Home Page. Select Choose and Publish from the pop up window. A message will appear at the top of the screen confirming the publishing of your course. 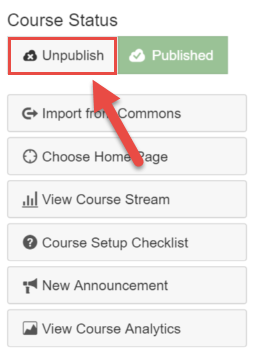 NOTE: Once your course contains a graded submission, you can no longer unpublish your course. In the sidebar, click the Unpublish button. 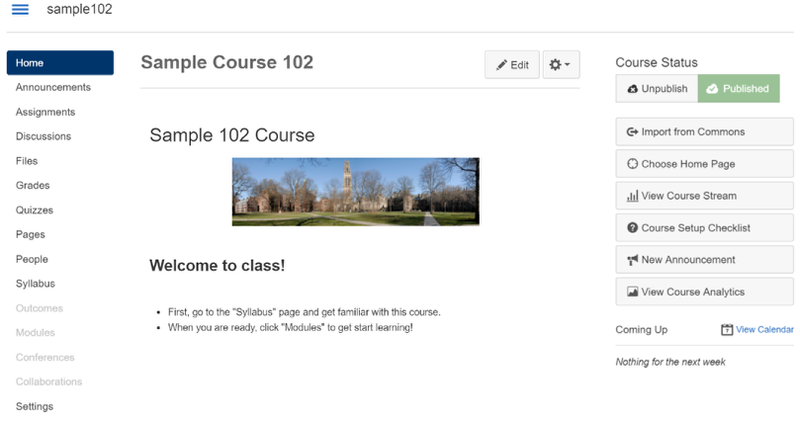 A message will appear at the top of the screen confirming the publishing of your course. 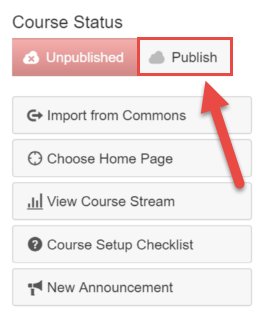 You will also see a large box at the top of the page indicating that "This course is unpublished". For more information on publishing a course, check out the beginning of term checklist.